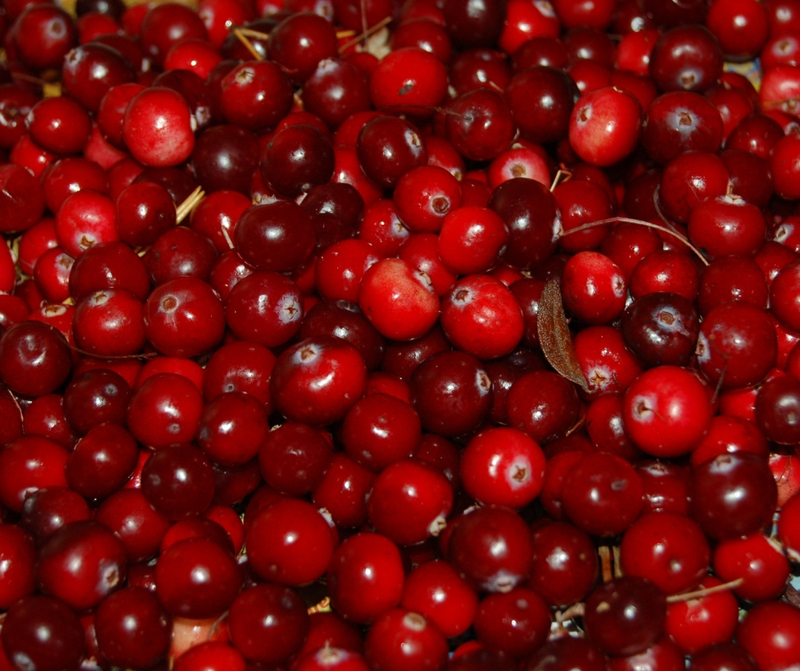 Cranberries have long been associated with the Thanksgiving and Christmas meals. Cranberries, once eaten only a couple times a year, can now be found in the grocery aisle just about any time of the year. They can be used in many different ways, outside of the holidays. As with so many other fruits and vegetables, we are discovering that cranberries are a fiber-rich food that contains those antioxidants that help us all. Cranberries also have a good amount of vitamin C and are a low-calorie food (as long as you do not use the recipe that requires a lot of sugar!). If you are reading labels, you will see they are low in sodium, saturated fats and cholesterol. The cranberry is a native to the United States. We sit here in the Fox Valley, just south of the border from the nation's leader in cranberry production, Wisconsin. More than 50 percent of the cranberries we eat each year are produced in Wisconsin. The other states that grow cranberries for us include Oregon, New Jersey, Washington, and Massachusetts, as well as Canada. Cranberries are produced in areas where the fields can be flooded, and they like an acidic soil that is either sandy or organic. It takes about four years before the plants begin to produce. Cranberries are a long-season crop, producing a berry in about 75 to 100 days depending on the variety. Field flooding serves two purposes. One, like you see on the TV commercials, is for harvesting the berries; the other for winter and frost protection. Cranberries are harvested between September and November. A barrel weighs 100 pounds so that is a whole lot of berries! The Wisconsin Cranberry Growers website (www.wiscran.org) has many interesting factoids about the modern cranberry. For instance, only 5 percent of the crop is sold as fresh berries and only about 20 percent of the annual cranberry crop is eaten during the holidays! Do you like your cranberries freshly prepared, out of the can or dried? According to the website, early settlers called them Crane berries since the flowers look like a crane's bill, and Native Americans used them as an ingredient in a dish called pemmican and for dyes and medicines. If you need something to talk about during holiday parties, you can ask who can list all the foods today that contain cranberries? Muffins, granola bars, and salads are just a few, as more than 1,000 food and beverage products today contain cranberries.